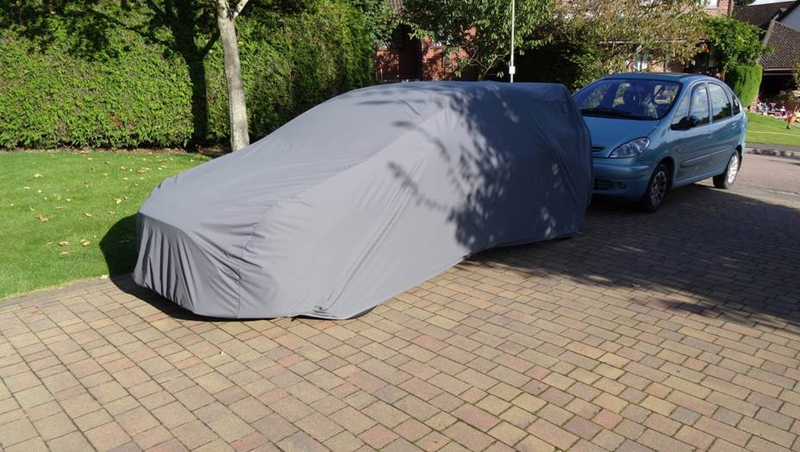 The New Classic Additions Hot Hatch Ultimate Outdoor Cover. 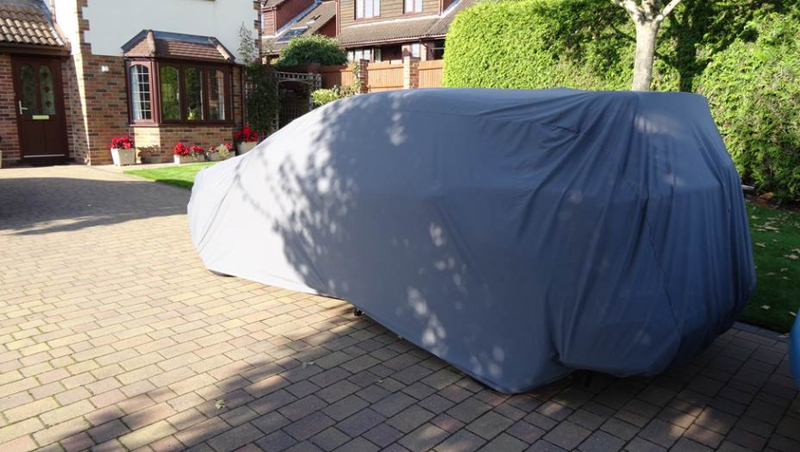 We are really excited to offer another new size to our Ultimate Outdoor Car Covers. 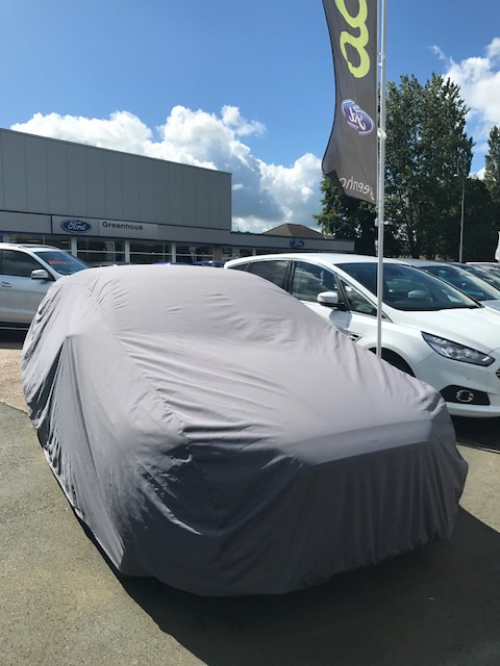 We have a range of sizes available ranging from a size S3 right up to Van sized covers, meaning we can usually find the right size cover for any vehicle. Recently we have found that more and more hot hatches are coming with really large spoilers, such as the Ford Focus RS Mk3. Unfortunately this has meant that our L size covers that we would put on a standard hot hatch aren’t quite deep enough at the rear due to the large spoilers lifting the covers too high. If customers were to order the next size up, the cover would overall be too big in other areas. This has led to the development of our latest HH size cover. 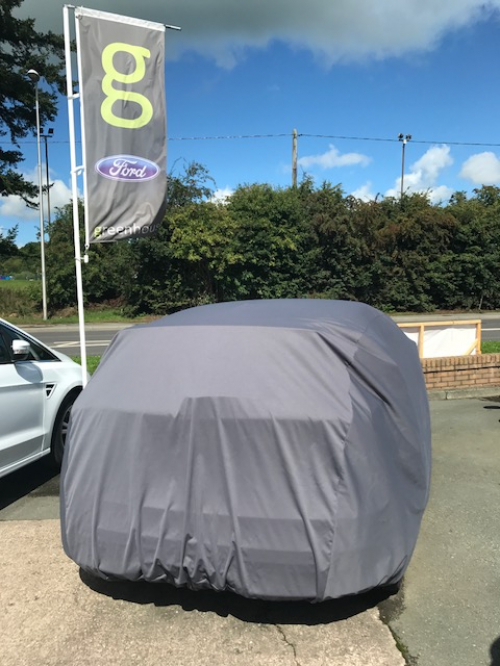 These covers have been developed by taking a standard L cover but more adding room to the rear top quarter and the seams re-tailored to give a better fit on cars with larger wings. We had a prototype made and tried it on a Ford Focus ST. When we tried it on, we found there was enough space in the rear for an even larger spoiler meaning it would be perfect for cars such as the Ford Focus RS or even the Honda Civic Type R. With this in mind we had a batch of covers made up and they are now stocked in our warehouse ready for sale. These are just £205.00 including VAT and next working day delivery. 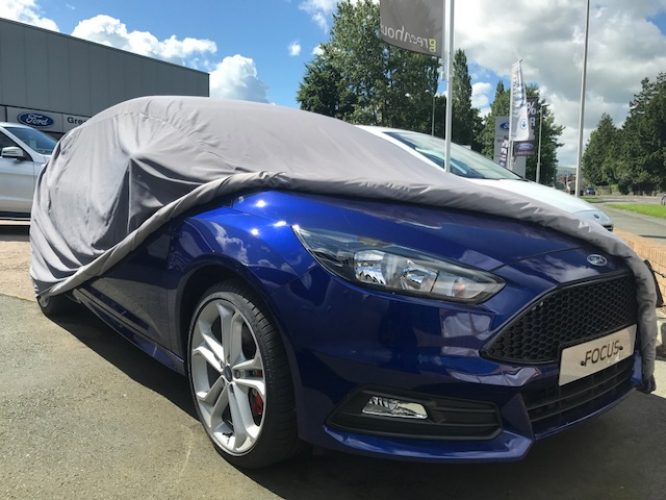 Take a look at some of the photos below of the Hot Hatch cover on a Focus ST and a Mk3 Focus RS. If you have a hot hatchback that that you need a cover for, please do get in touch and we would be happy to help.